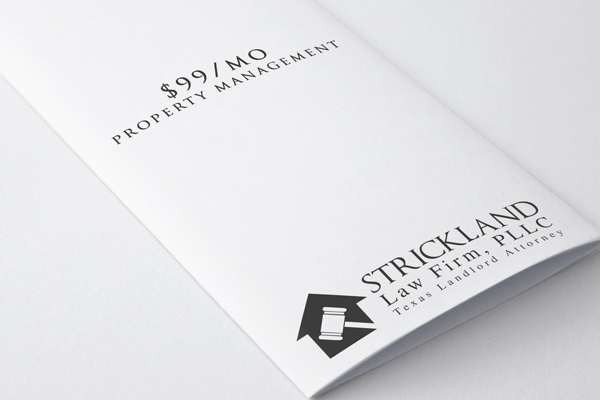 Strickland Law Firm, PLLC offers full-service property management, including 24 Point Tenant Screening, Property Leasing, Happy Tenants, Peace of Mind Management, Coordinating Inspections, Online Portals for Owners and Tenants, Monthly Statements, Yearly Statement, Coordinating Maintenance and Repairs, Evicting Bad Tenants and more for only “$99 per month (and a fee of one month’s rent for property leasing). Click today to take advantage of one of the most thorough rental analysis in the industry. 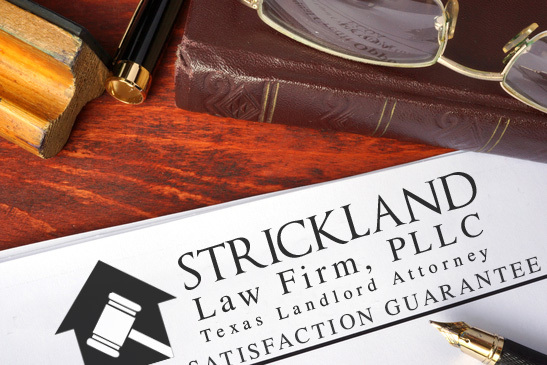 "Strickland Law Firm really knows their stuff and are always available when I call. Duncan has gotten 3 houses back for me and I plan to continue using him in the future!" "It has been a positive experience working with Strickland Law Firm. We did all of the stuff by phone and email and it was very quick response with any questions and Duncan get right back to me, with anything! It was very nice and easy to work with him. I wouldn't hesitate to recommend Duncan Strickland. Every question was answered and resolved. Awesome! " Proudly serving the greater Houston, Spring, The Woodlands, & Conroe Areas!